One of the most important features of any home or building is its windows which not only add a great deal to its aesthetic value but are also a vital source of light and ventilation. However, if you don’t have quality energy efficient windows, they can be a drain on your household budget! Fortunately, today’s homeowners have a wide choice of affordable high-quality energy efficient windows which outlast and outperform their traditional wood-frame counterparts. In fact, today’s window technology has advanced so much that comparing the windows of 30 or 40 years ago with today’s is like comparing the Wright Brothers’ aeroplane with an F-16 Jet fighter. Nowadays, windows are equipped with sturdier low maintenance frames and self-cleaning high-tech glass which can have insulation values and provide security that come close to those of an insulated solid brick wall. There’s no better time to replace your windows than now! Firstly and most importantly, you’ll begin saving on your utility bills during hot and cold weather. For example, the High Performance Spectrally Selective Glass feature, offered by Armstrong Select Windows and Patio Door System, can screen out up to 80% of the infra-red radiation, therefore there is a much lower transmission of radiant heat from the sun into our homes thus reducing the need to cool our home’s interior space. What’s more, they also feature Super Spacer® technology which can reduce greatly that 80% of the energy which is lost at the edge of the glass due to the highly conductive nature of aluminium spacers. Super Spacer® is 950 times less conductive, consequently, it prevents heat loss and reduces energy costs. In fact, it reduces U-values by up to 0.2W/m2K allowing them to achieve the highest window energy ratings possible. Another reason to replace your windows is the fact that beautiful new windows greatly improve the appearance of your home and increase its value. 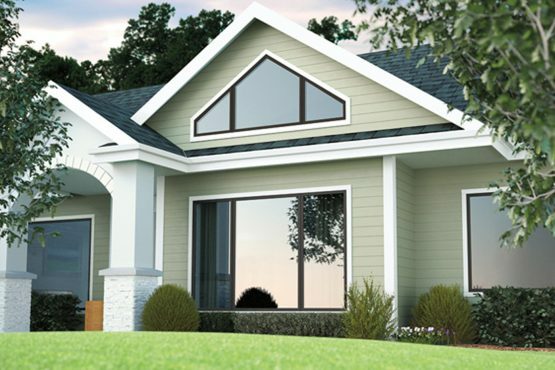 In addition, if you choose vinyl frame windows from the Armstrong Select Window and Patio Door System line or ones constructed from Ultrex® Fiberglass from the Infinity® from Marvin series, then you’ll never have to paint your windows again. Moreover, if you are like most people who hate cleaning windows, you’ll be amazed to learn that you’ll never have to clean them again due to the incredible feature called Neat or Sun Clean™ Easy Cleaning Glass. This feature uses the sun and rain to keep them clean so you won’t have to test your luck with wobbly ladders. Of course, your new windows can also provide you with a much higher level of security because of laminated glass which is very difficult to break through. Additionally, something which many of us never think about, or have never thought possible, is that new windows can offer protection against the fading of our furniture and carpets caused by UV damage. This can be achieved because manufacturers of high-quality windows cover each sheet of glass with a special glazing that reduces the amount of harmful UV rays entering our home. The installation procedure for your replacement windows has been perfected throughout Armstrong’s 50-plus years of experience in the Bay Area. Our line, Armstrong Select Window and Patio Door System, has been specially designed to meet our tough standards and the recommendations of our customers. This line offers beautiful designs of the highest quality to suit any style home. They are also the most feature-rich windows available at any price in the market today. We also offer our customers an exclusive new technology called Infinity From Marvin. This series is perfect for those who prefer the aesthetics of wood because the frames look just like natural wood but they are constructed from durable Ultrex Fiberglass® which is 3 times stronger than wood. Furthermore, this material is a poor conductor of energy thus reducing the transfer of heat or cold from the outside entering our homes. Its low thermal expansion rate also means that it can last much longer under unstable weather conditions and its strength permits the installation of larger window sizes without affecting the amount of light entering your home. I’m sure, you will agree that today’s windows are not what most of us grew up with 20 or 30 years ago! Armstrong provides its customers with products that are durable and are constructed to last a lifetime. As always, all our products are covered by the best warranties in the industry. Our replacement windows can carry up to a limited lifetime manufacturer’s warranty, just like the Infinity series. Call us today for a free quote or to arrange a free consultation with our Home Improvement Specialists.